The latest from Mooch ship commander Steve Palmer is a three track, 30 minute EP that Steve describes as, an evocation of the longest night/shortest day of the year, which this year is on the 21st December at 14:49 GMT. 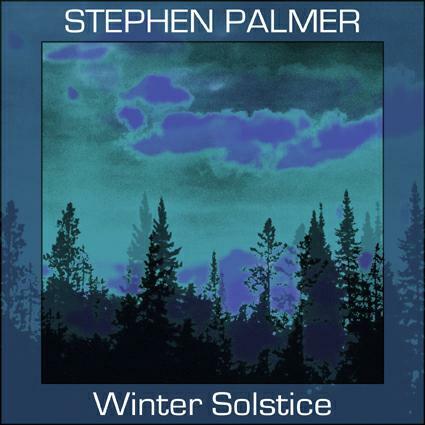 Winter Solstice consists of ambient/soundscape music utilizing synths, slide guitar, bells and other sound sources. The tracks flow smoothly from one to the next, though each has its own distinct qualities. Winter Solstice Part 1 features electronic ambient waves that lay the foundation over which deep space Bluesy slide guitar explores, accompanied by bells which, given the time of year, can’t help but inject a Holiday feel. There are actually two or three layers of guitar, and combined with the electronics, which alternate between intense drones, heavenly drift and spaced out melody, all sound and feel meditatively magical. Winter Solstice Part 2 is a spacey, rhythmic, yet reflective groove tune with killer cosmic synth sounds and inspiring melodies. It’s not unlike Steve’s Blue Lily Commission project. Finally, Winter Solstice Part 3 returns to the themes of Part 1, though it shifts gears continually throughout its nearly 12 minute length. Its deep space exploration all the way, featuring soaring space synths and slide guitar licks that at times take off and sound like they bleed into electronic effects. Pure cosmic beauty, and writing about it feels extra good as I kick off the beginning of long 4 day weekend.